One of my entries in the Sci-Lug Small Starfighter contest in January 2009. 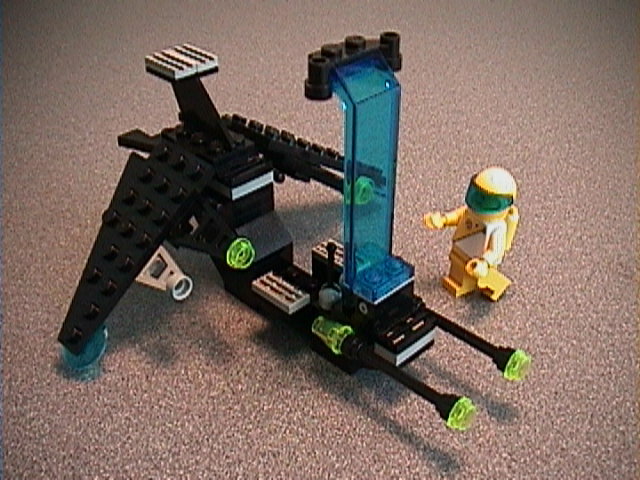 My other entry in the Sci-Lug Small Starfighter contest in January 2009. My entry in the Iron Mecha competition in early 2006... taking its time to arrive on my site. My IPRC 1500-class Airbike entry. LV-16 series truck, outfitted for prospecting. The ANT is my generic ubiquitous futuristic utility vehicle. If you're all alone and need to cover some distance quickly, this is just what you need! Thirsty? Need to receive a fax in the middle of Crater Park? We've got you covered. Maillotia is a light fighter/bomber with VTOL capabilities and reconfigurable weaponry. It's a spacey-looking cargo box. The Sialia is a tiny blue fighter, primarily designed for use in vacuum. ZOG3 is a small experimental fighter, copied from the Nebula III. A classic scene from a classic film, where the fully-grown xenomorph makes its first appearance. KraataCorp is competing with the HoverCheap for cheap personal transportation. Pirate Captain Zed terrorizes the neighborhood in this one-man heavy fighter. "Red" accompanies Zed on their raids on proper society in her medium fighter. I have another small model today, a quarter-scale version of Melpomene. Yeah, it's pretty simple- a tiny studless ship piloted by a scary witch. Walk tall and carry a big stick. The LongDrop is a fast light cargo ship, built as a support vessel for extended patrols of Teardrop scouts. Sheriff Floyd Garrett enforces the law in his own little corner of the galaxy in this little fighter. Friendship 2004 is a near-future vehicle designed to recover 2 astronauts from Mars. The Briclopeans employ rather unique vehicles to get around their planet. Family transportation for a new generation. Kaisha Corp, formerly famous for its top quality null-grav toilets, sponsors this racer. To everyone's surprise, the Jade Empire has entered the intergalactic multi-environment racing circuit. Slick Octan is the heir to the Octan fortunes. He races because it's fun and because he can afford to. Here's the third intergalactic multi-environment racer I've posted. Rex Wolley thinks that the Teardrop makes a great racer, too! A tiny and very fast scout vehicle in vacuum and atmosphere, the Teardrop makes a great cruiser for light policing of outlying sectors. This scarab is fitted out for crystal prospecting by its owner, Billy Bob. Mike pilots this intergalactic racer, financed by the Exploriens Alliance. See various robots that are roughly minifig-sized. Here's a small low-altitude vehicle from the Seldar Worlds corporation. Here's another official set, recolored with the Ice Planet scheme. What do you get when you take a badly-colored ship and redo it in an even worse color scheme? This canyon of BURPS has some landing platforms with various tiny buildings, plus a few tiny-scaled space ships. Here's the same car after. This is designed to move much larger vessels around. It is ideal for maneuvering ships that aren't equipped for delicate spacedock work. La Mort Custom Spaceworks (aka Mortco) has entered into a contract with Spiffco to convert standard Spiffvans into Spiffhearses. It's Jeni's first spacecar, and she wants to show it off! This is the primary communications link between Earth control and the Space Corps' lunar base. A very inexpensive vessel, the Cosmic Dart makes for excellent personal transport. This 2-seat spaceship is a flying platform for a sizeable communications array. The Geosurvey Rover collects and analyzes geologic samples using a cab that extends on a telescoping arm. You can fly through meteorite showers with minimal risk to life and limb in this little beastie. It's ugly. It walks. Feel the pain. Another of my classic space creations, this is a balloon-wheeled truck that hauls a small scout ship. Here is a ship done up in the colors and style of the first-year classic space sets. It is a small cargo ship that uses the universal cargo modules seen on many of my other vehicles. I thought that the Futuron monorail train didn't carry nearly enough cargo (1 container plus the fake battery box container). So I made one that was fairly similar in style that carries 3 containers plus the battery box. The Dark Futurons have a monorail for shuttling pilots and ground crew to their ships. This is my first attempt at a monorail terminal. Before too long I'll be taking it down to replace it with something that has a lot more detail. Captain Brenda Rhodes' ship is a reconfigurable deepspace freighter she uses to ply the outlying trade routes. While the primary hull of my long-term project, the huge cargo ship, isn't progressing very quickly, this second prototype for the cockpit module is getting closer to my ideal design. My third revisited 2nd-generation classic space vehicle is a bit more drastic of a variant on an old theme. This is basically a Starfleet Voyager on steroids. This Seldar Worlds offering is a lightly-armed, but heavily armored, ground vehicle for the purpose of transporting officials safely through combat zones. People were surprised when this fighter showed up and broke all the rules- but it manages to effectively pull off a balancing act between economy, combat effectiveness, and durability. UniCarg's second military arm, Seldar Worlds, manufactures these walking vehicles suitable for a wide variety of military applications. UniCarg Industries' Grasshopper is a vital support vehicle for the universal cargo system. One of these medium-sized gunboats single-handedly saved the Unitroid VII colony. It is reminiscent of the Aquanauts series, but with the submarine theme ported over to spaceship design. Here's a one-man atmospheric craft with 3 sets of wings. This is a ship I put together a while back. It is an Exploriens-style ship with room for 10 infantry men plus a crew of 3. Here's a set of Insectoid-style vehicles.